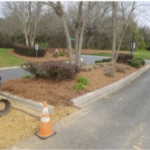 INDIAN TRAIL, N.C. — Officials say an Indian Trail man is facing several charges after he hired a contractor to remove a landscaped median from in front of his home. 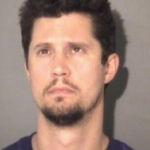 Ryan Smith, 32, of Braxton Drive in the Brandon Oaks neighborhood, is facing two counts of injury to real property and one felony count of conversion after deputies say he hired someone to remove a portion of the landscape median on Braxton Drive that runs in front of his driveway. Ryan Smith, an engineer in the water department, had been placed on administrative leave effective Monday morning at 8 a.m. relating to property damage issues and subsequent Sheriff Office charges stemming from his actions in his subdivision in Indian Trail. City Staff was notified of the incident last week and was prepared to speak with Ryan regarding the incident and place him on leave last week, but he was on vacation the later part of the week leading to the meeting Monday morning. Ryan’s email, badge and any other city privileges have been suspending pending the investigation. City staff continues to investigate the incident and has not found any evidence that city funds were used in support of the alleged crimes. 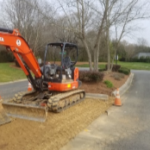 When deputies arrived on the scene they found an excavator sitting in the middle of the road where a portion of the median once stood, according to a news release. Investigators say Smith had sought permission from the Town of Indian Trail to have a portion of the median removed but the request was denied. Smith, who has been a Water Systems Engineer with the City of Monroe since April 2016, was involved with the road construction project taking place on East Franklin Street, according to a news release. While in that capacity, deputies say Smith allegedly hired Classic City Mechanical to perform work on the project for the City of Monroe. At some point, deputies believe Smith spoke with a superintendent with Classic City about hiring them to remove the median in front of his home but the superintendent refused, believing it to be a conflict of interest. Smith is then accused of speaking with another employee, a foreman, about doing the job and the foreman agreed. Investigators say Smith paid the foreman from personal funds to remove an excavator from the Monroe job site, on company time, and take it to his neighborhood to remove the median. The intent was to use asphalt left over from the City of Monroe project to pave the area where the median was removed, according to a news release. However, deputies say they disrupted the plan before the unauthorized project was finished. 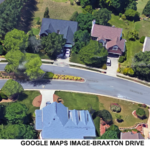 The streets of Brandon Oaks are maintained by the Town of Indian Trail but the landscaping material within the median are property of Brandon Oaks Homeowners Association. Therefore, deputies say the damage to the median involves two victims. Investigators say Smith posted bail and is out of jail awaiting his first court appearance.